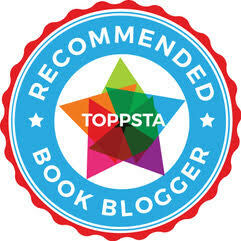 So today is the 'BookBumps' due date and as yet we still have no newborn baby photos to share with you all. Apparently he's just too comfortable all tucked up inside! Cheeky wee monkey! Fortunately I'm still feeling ok and not too uncomfortable myself though I am now incredibly impatient to meet the little chap and hold him in my arms. Thanks to everyone who has sent kind messages and are keeping us in our thoughts - I promise I will let you know and share that much anticipated first photo as soon as I can after he arrives! But you could still be waiting a while! 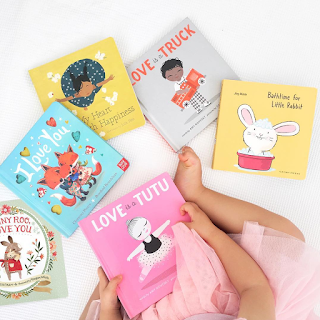 When do you start reading to your child? 6 months? 1 year? When they show an interest in books? The answer is simple. It’s never too early. I read to my children while they were tucked up inside my tummy. I read to them from their first breath. The benefits of reading to your baby are endless. It’s bonding time. One on one attention. They’ll find comfort in your voice, your cuddles, hear different tones, patterns in language, emotions. Their little brains will piece together every single sound and sight. There’s two main points I pulled from this quote, the first, that reading assists a child’s learning, and secondly, that creating a nurturing environment is key. It’s more than just pulling a book out from the shelf and going through the words. How, where, and what we read is of great value. I don’t mean to say that you have to have the perfect reading nook with just the right amount of comfy cushions for reading time to be effective. As a child I would pull my father along with a book in hand to sit on the floor in front of a wardrobe. That was our story spot and it was the world to me. Having good books that are accessible, part of your everyday, and making reading an activity you can enjoy together, these are three essential I focus on. Don’t hide your books away in a box. Keep them in sight and easy to reach. Spread them out over the floor for your baby to explore on their own. Baby-led reading. BookBairn is an advocate of this, and we love it too. You most likely rotate toys already. Rotating books is equally great. 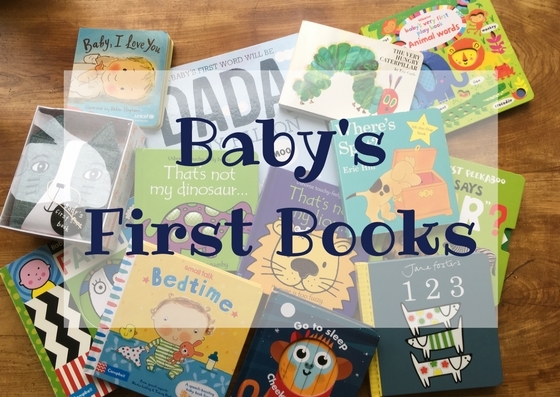 Because there’s so many books out there to choose from, I thought I’d share some baby’s first books that are tried and true. I started out to find a top ten, but the list kept growing. Always happens. Easily solved, I’ve divided them into groups. It’s a healthy habit. One that will only brighten your day. Making reading a part of your daily routine is particularly helpful at baby’s bedtime. It’s comforting for your little one, especially if combined with cuddles. Set aside at least 30 minutes, that’s all, and this can be broken up throughout the day—5 minutes in the morning, 10 minutes after snack time, 5 minutes in the bath, and 10 just before bed. Reading is fundamental. Reading is fun! It’s best spent together. Be expressive with your reading voice. Use emotion, intonation. Change it up. Although your baby may not understand the words you’re reading, they will recognise and respond to emotion. Choose books that are full of colour. In the early stages, from birth to 3 months, black, white and red can stimulate baby’s vision and brain development. The more they’re exposed to, the more they’ll thrive. 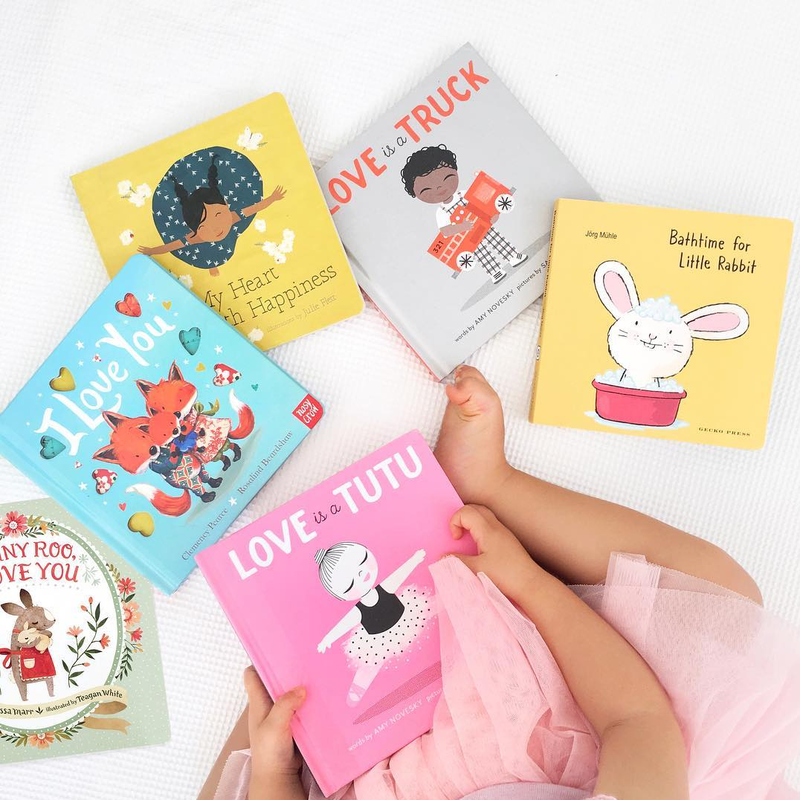 Board books are easy for babies to hold, play with, and bite. You’ll go through a few copies of your favourites. As your child grows older, talk to them about the book, the story, emotions and lessons shared. Book based activities enhance story time, encourage creativity, and they’re a whole lot of fun. If you’re looking ideas, head to Instagram. We share many on our feed: @readingisourthing. Also check out @book.nerd.mommy, @kidlitcrafts, and @kidartlit. Don’t stop reading together once your child can read on their own. I frequently read chapter books aloud with my two eldest, taking a chapter each. Even if you eventually are reading different books, still try and spend that time together, reading at the park, with your toes in the sand, legs over opposite armrests of the sofa. It’s time well spent. Thank you so much Summer for such a well considered post!! 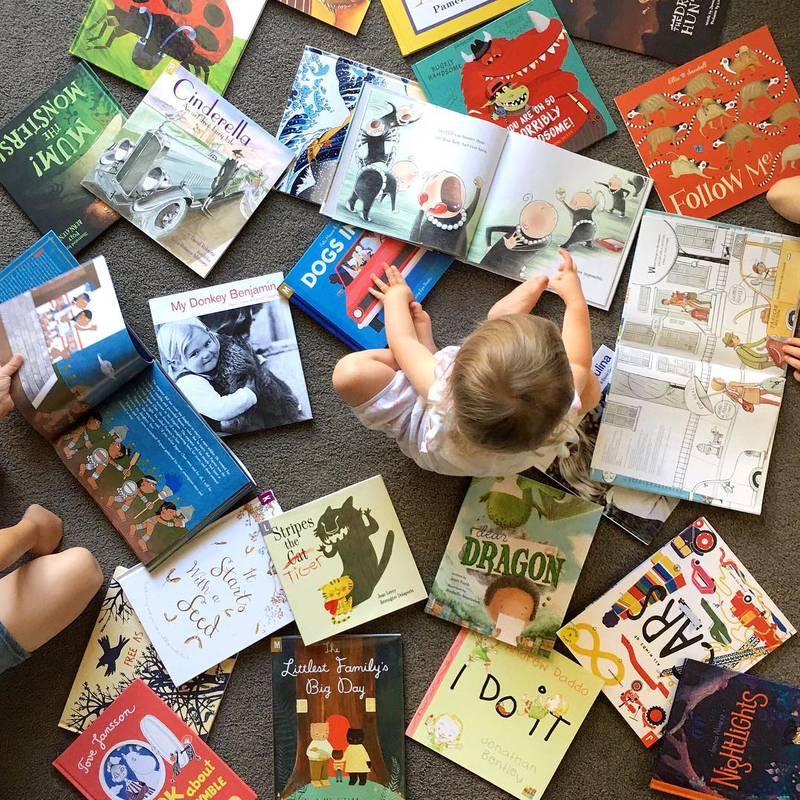 BookBump has been hearing all of BookBairn's favourite stories day and and day out I'll be suprised if he can't recite some of them from the very early days! And some truly fabulous recommendations for a great start to a little ones library! Mummy, BookBairn and (still tucked up inside Mummy!) BookBump! What a great post from Read is Our Thing! You're so right - it's about love and bonding as much as it is about literacy and communication. The artwork in children's books is so incredible too and I love the way paper engineering and the imaginative sensory experiences have been developed recently. Isn't she clever?! I love how well-thought-out this post is and clearly she's the sort of lady we could have cup of tea and talk books with - my favourite type of person! And you're so right - kids books are just getting better and better, especially the baby book range! Excellent article. Very interesting to read. I really love to read such a nice article. Thanks! keep rocking. Releases New Children's Book.